Let’s get the party started! In February 2012, essence is turning the winter into a party season with the new trend edition “crazy good times”! Outrageous false lashes, innovative nail fashion stickers, cool stamped tattoos and nail polishes in bright colors with fascinating glitter effects are true must-haves that turn every outfit into a breathtaking eye-catcher! 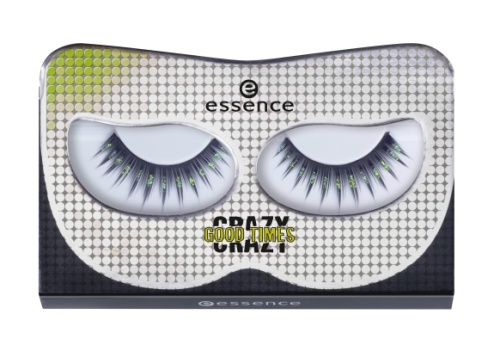 Spirits are high and you’re in the mood for a party – the right style is absolutely essential for an original appearance. 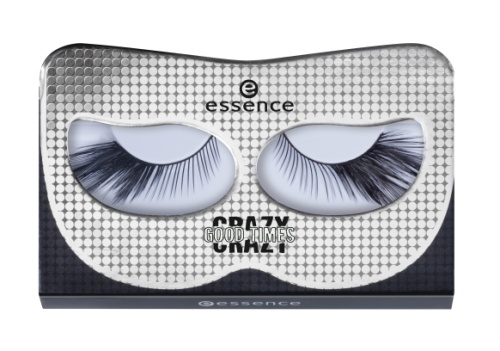 Your eyes will literally turn into eye-catchers with these unique false lashes. The six eccentric designs with long feathers and sparkling rhinestones offer something to suit all tastes. Simply apply to the edge of your lashes with the included glue and you can get the party started… available in 01 glitterastic, 02 paradelade, 03 princessorize, 04 candyction, 05 colourbration and 06 confetteria. If not now, then when? Six nail polishes in exciting, intense colors are sure to attract lots of attention to your nails. 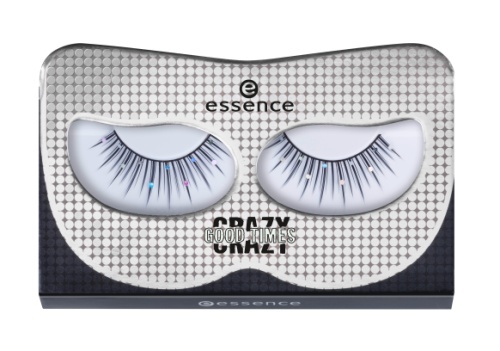 You’re sure to be the center of attention with these crazy glitter effects to complete your gorgeous party look… available in 01 paradelade, 02 princessorize, 03 colourbration, 04 confetteria, 05 candyction and 06 glitterastic. You have to head out to a party and you’re still missing something on your nail style? 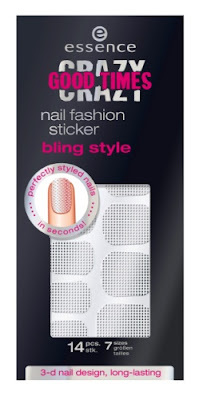 No problem, here comes the ultimate solution for trendy, stylish nails in seconds! Simply select the self-adhesive nail fashion stickers in the correct size, peel off the foil and stick on your nail – which you can paint in either transparent or bright, colorful nail polish beforehand. 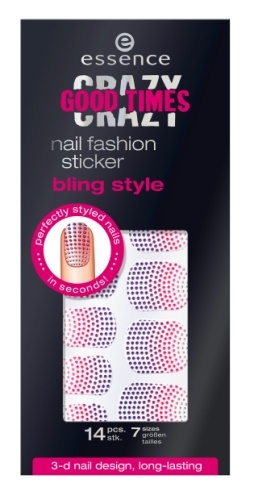 And hey presto, you have a cool and sparkling 3D dot-design on your nails! Available in 01 glitterastic and 02 candyction. Around 1.99 €*. Stamp it, baby! Want a tattoo for the party, but not forever? The cool tattoo stamp comes in a pen-shape and stamps tiny stars and hearts on your face and body in a matter of seconds to give every style that special added touch. Whether you use it to create a small highlight on the edge of your eye or as a cool tattoo on your shoulder – it’s easy to apply and remove whenever you feel like it! Available in 01 paradelade and 02 princessorize. 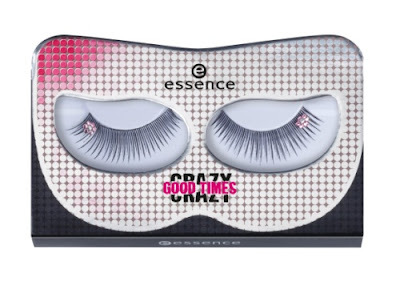 Around 1.99 €*. A party without glitter? No way! After all, it’s all about attracting attention. 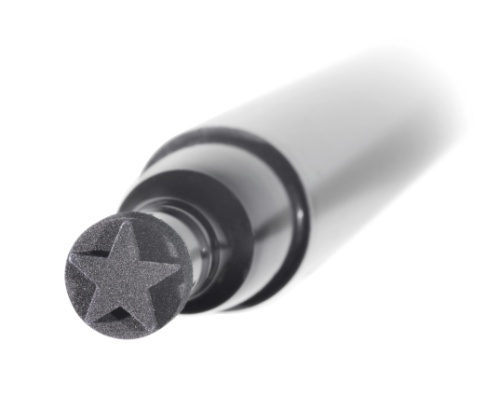 It’s super fast and easy to conjure-up a brilliant shimmer on your face, neckline and body with this practical glitter stick. Create iridescent glitter effects that are ideal for long party nights! 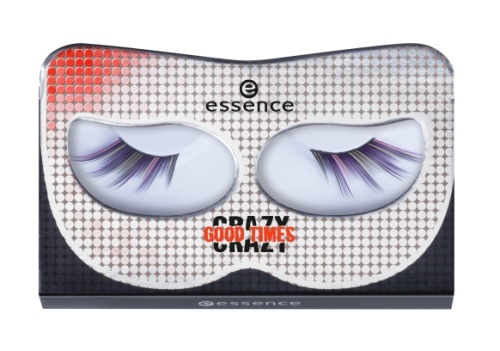 Essence “crazy good times” will be available in stores in February 2012.